Often when logging on to the board ,the notice at the foot line shows how many users are on , with often some listed as "Hidden" ?. Why would any one want to be Hidden ? You are either on line or not ?..Why is there even that option ? It is an Open forum , so you could still visit the board and read all posts as unregistered ... Just curious why . I never thought about it one way or the other, nor cared, but I guess anonymity must matter to some folks. I thought there was something about an IP address that comes through somewhere with each message, but I am not tech savvy. Robert. It doesn't make a lot of sense o me either. ezzy333 , Maybe there should be Hidden Posts ? My top concern are the members that don't show their location. It sure habdicapps potention buyers as well as sellers when you have no idea where someone is located. ezzy333 wrote: My top concern are the members that don't show their location. It sure habdicapps potention buyers as well as sellers when you have no idea where someone is located. I'm with you on this, Ezzy.... I wish everyone would post a general area they are from. It should be mandatory, for more than just buying and selling. Many of us on here would be interested in trying to find hunting or training partners in our local areas. Additionally, people ask and answer questions that the answers are largely affected/influenced by geographic conditions. 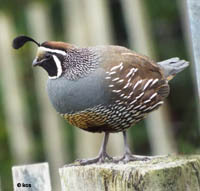 Hunting a Western PA grouse is very different from hunting a mountain region chuckar or a South Dakota quail or pheasant. I don't get why people don't list at least a State as a location. Darn. Had to post just to see if my location is on. I like to see that too, if mine isn't on I'll put it up. One of the more useless threads I have seen. PM someone if you want to know more about them. Not difficult to do. These boards are full of lurking internet scouters who never offer any information and are just reading to get a bird report or info on a public hunting spot. Which is a darn good reason to not give up too much information. averageguy wrote: One of the more useless threads I have seen. PM someone if you want to know more about them. Not difficult to do. These boards are full of lurking internet scouters who never offer any information and are just reading to get a bird report or info on a public hunting spot. Which is a darn good reason to not give up too much information. Yea I know you are in Scotland. Which begs the question what possible need do you have to know which state I live in? And BTW there are several thousand folks who lurk on this board most of whom do live in the States. averageguy wrote: Yea I know you are in Scotland. Which begs the question what possible need do you have to know which state I live in? Your purpose is to stir things up. Which explains in part why only a handful of the same commenters dominate this board. I never asked or enquired what state You are in Sir ! Although a state of unrest or other ..in mind I also do not care . Take it easy mate . Have a nice day . I assumed you read your own thread. Its a pretty short read. Guess I was wrong. Perfectly good question to ask Polmaise ,and abusive feedback is something I will always delete AG. Sharon wrote: Perfectly good question to ask Polmaise ,and abusive feedback is something I will always delete AG. You said Polmaise's whole purpose here is to stir things up and that is why we have fewer participants here - which we don't. That is unacceptable to say to a member. So I guess it is Polmaise's fault ( NOT) and the administrators' fault too. .. and they are talking about it on another form ??? Oh no! I'll make it perfectly clear. I tolerate a lot , but any abuse of a member I will immediately deal with. I am chuckling at the notion Robert needs you to come to his aid. But ok.
One reason we may have fewer members - if we do- is because we have such very experienced , well - written members here. Ones who are willing to give a lot of time in responding too. This makes it harder for less experienced members - even me who has some experience - to participate. However, if I had to choose, I'd rather have 20 very experience, highly participating members giving advice , than 100 participating members giving advice who have very little experience . The goal is to figure out how to have both kinds of members . No easy solution. I'm another one from Haggisland but I think we are all Jock Tamson's bairns whether we come from Scotland or not. There is nothing worth arguing about that I've read in this thread and I haven't ever noticed any heavy handed moderating ….but maybe I'm not the sensitive type ? I do like to have some idea of where a poster lives and when replying to questions I very often make it clear that because I do not live in America, maybe my thoughts on a subject would not apply there. North America is a huge country by British standards so by reading what State someone lives in I can sometimes form a slightly better idea of what it is like to work a dog there. Even when dealing with questions from another brit on a British forum I like to know what part of the country they come from because the laws in Scotland can differ from those in England or Wales ….. I think something similar perhaps applies to the laws of the various N. American states ? Bill, what a down to earth common sense post . Maybe it is just our age but it seems to me that so many members turn a really enjoyable topic that they are involve with into an arguing match that they lose a large part of what is important in life. Thank you Bill on this thanksgiving day here in the states, you are a valued member to me. I guess I have never feared anyone knowing where I live or the general area where I hunt, even they are from out of state. I figure in a state where there is a lot of public land and a F&G that concentrates on antlers, the more bird hunters that hunt here the more allies I've got for keeping public land public and the more emphasis on upland management. As Red Green says, "We're all in this together". Location to what part of the Country you live in ,or even State never bothered me ! ..When some folks talk about the Bayou , I got where they were ,same as the Plains . Hidden " , was Originally posted and related to " On Line" status . On this site . Ray G, nailed it. Why do you even concern yourself with it? The site was designed with the feature and some use it. Most on FB these days guard their privacy. So obviously others do not share your opinion. Yea Ezzy, I think age may well be a factor here. Shoot the messenger if you will but I have seen several comments on two different boards in the last 2 weeks regarding the heavy handed uneven moderation on this board, leading to its decline. On that similar note: apparently attacking the president is fair game on this board? I could easily see where a guy who lives in a state which is 70% public might have a different view than a resident in a State which is less than 2% public. And those living in states with no wild bird populations have nothing to loose either. Again the feature is there to provide the information or not. And it is simple to inquire through a PM if a valid need to know exists. Which it rarely does. Keep whining and picking guys, I am going to finish my coffee and head out on another hunt. averageguy wrote: Ray G, nailed it. Why do you even concern yourself with it? The site was designed with the feature and some use it. Most on FB these days guard their privacy. So obviously others do not share your opinion. Well CJ, if you read the thread it is easy to see that several folks other than myself brought up the location issue. Hence my comments. I missed nothing but apparently you did. Someone who designed the Forum included the ability to be online anonymously so obviously everyone does not share your opinion on this either. averageguy wrote: Well CJ, if you read the thread it is easy to see that several folks other than myself brought up the location issue. Hence my comments. I missed nothing but apparently you did. Someone who designed the Forum included the ability to be online anonymously so obviously everyone does not share your opinion on this either. * Users can individually set up "Hide my online status": If Yes is selected, your online status will be hidden to users. Note that administrators and moderators will still be able to view your online status. * Users can be marked as a Friend or a Foe in order to allow for filtering of their messages. use of the Friend and Foes list for filtering incoming PMs. As for requiring location info when joining GDF, it's optional. As someone posted earlier, you can certainly ask a member via PM where he or she lives if it's something of importance to you for a transaction or meetup (?) however you should respect the privacy of the person you contact if s/he passes along that info and NOT post that data here or elsewhere without permission - who's to say what reason someone has for not wanting a location added it's his/her choice on a public forum like this one. People can and DO make stuff up online too. About location info - there's a Sticky Note in the TRADING POST forums that suggests all ads include location info within the ad - after all, someone might live in Iowa and have a dog for sale in PA, or similar situation with something for sale.